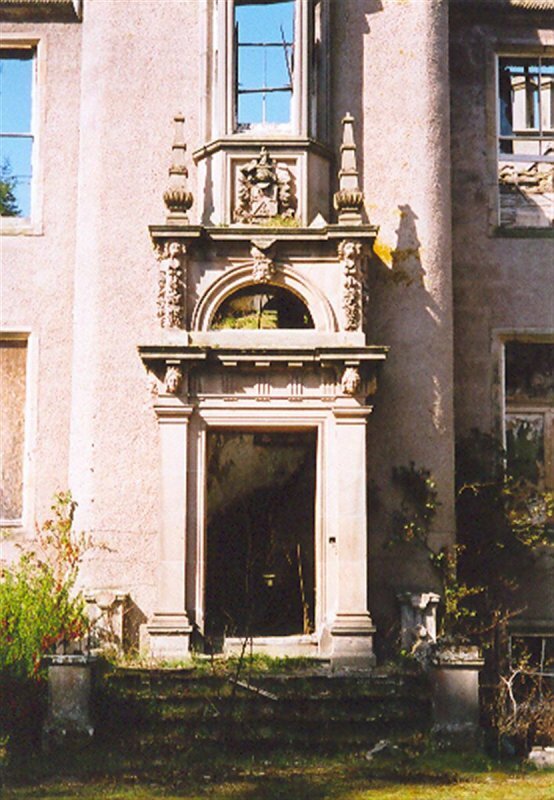 porch approached by flight of steps oversailing raised basement; pilastered and corniced entrance with florid Jacobean detailing, lunette and banded obelisk finials; tall canted 1st floor window above. Plain chamfered margins to ground and 1st floor windows; carved and monogrammed pediments to 1852 dormers; corbelled angle bartizans with conical bellcast fishscale slated roofs; moulded corbel and string courses; decorative water spouts. Projecting wing set back at E with raised ground floor canted oriel with corbelled base decorated with masks and with corbelled stone roof. 2 rear wings project to form U-plan service court. Mainly 4-pane glazing. Crowstepped gables; end batteries of coped stacks with diamond flues; slate roofs. Small sun porch (circa 1975) at W of house. 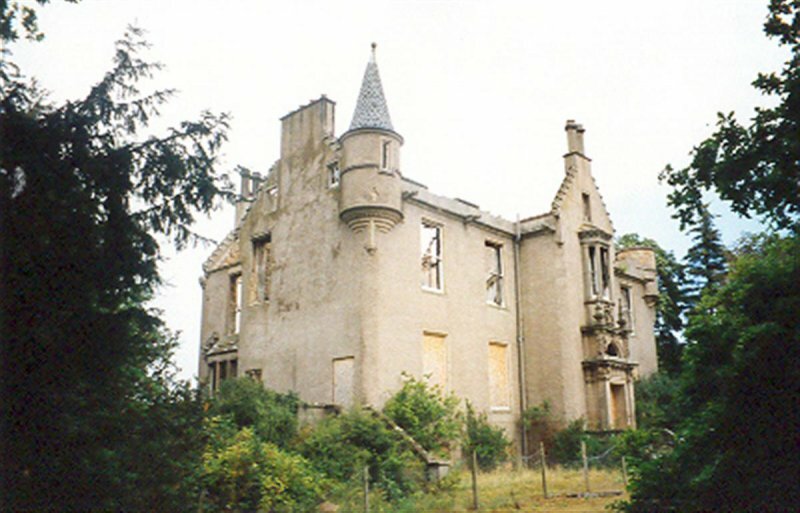 12 February 1992: The Aberdeen Evening Express reports that the house has been reduced to a shell by fire. 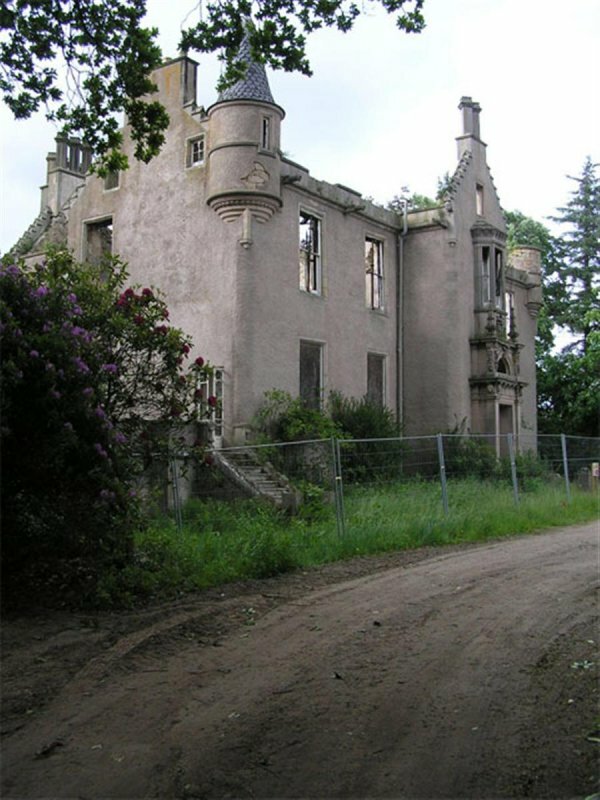 The house had sat empty due to the death of its previous occupant, but was due to be marketed. Minimal safety works are subsequently carried out, but further stabilisation works are required. SCT understands that the executors of the house are not in a position to restore or redevelop it themselves. 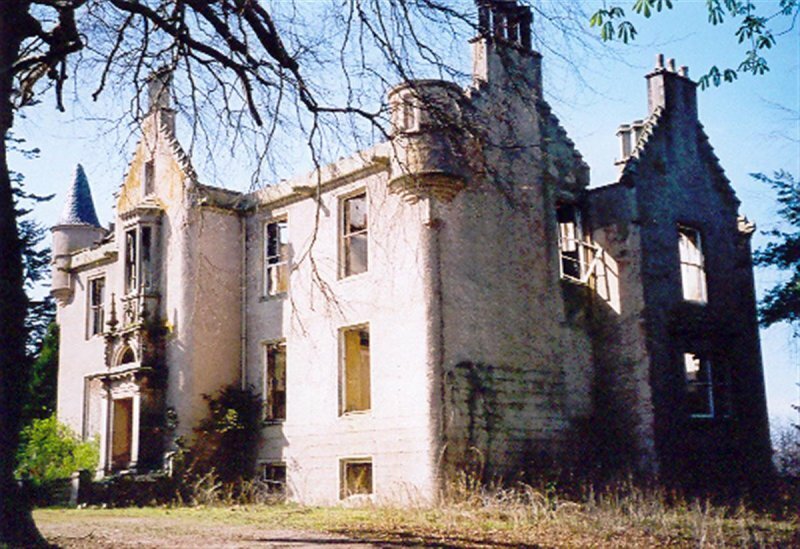 September 1992: A potential restorer reports that the house is being offered by agents at an asking price of £50,000, which includes 7 acres of woodland but not the adjacent cottage. 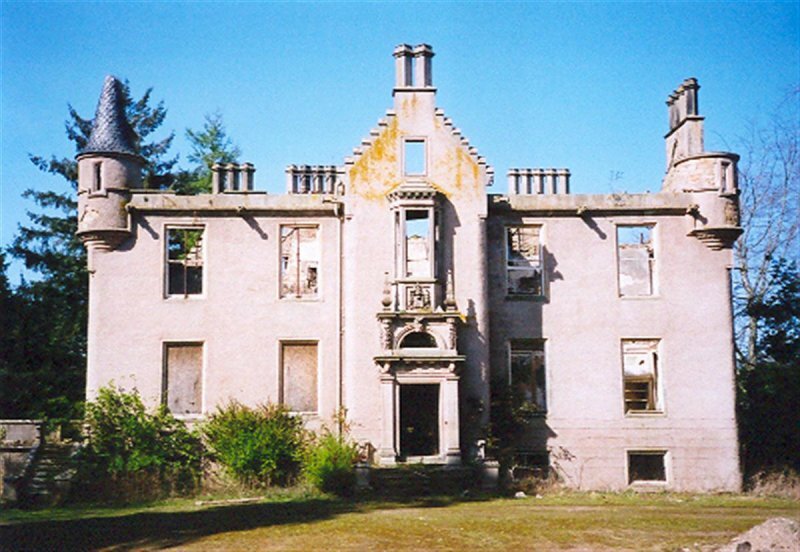 January 1993: SCT understands that negotiations are continuing with the potential restorer, who plans to develop the house as long as enabling development in the grounds is permitted. March 1993: The house enters new ownership. 1994: An application is submitted to convert the house into 3 dwellings. 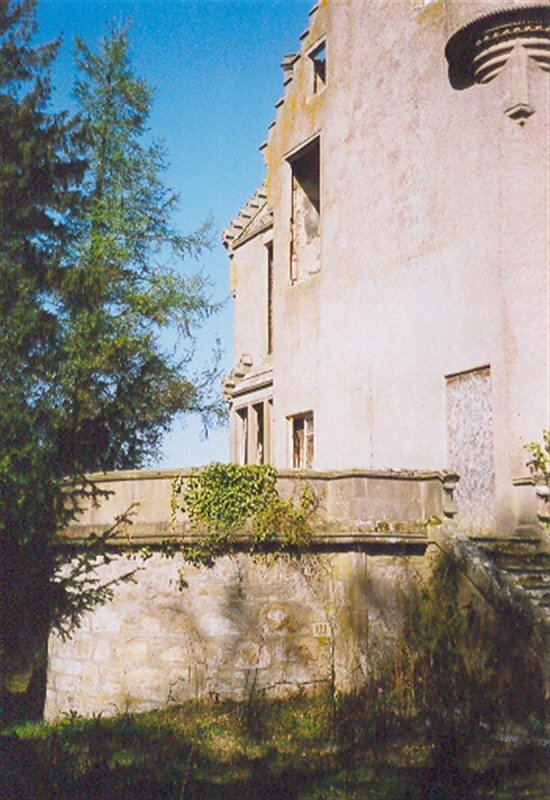 2 houses would be built within the walled garden, and the steading converted into a house. A further 5 houses would sit in the paddock to the south. Planning Permission is subsequently granted for 13 units in total. November 1996: No works have commenced, although SCT understands that other developers are showing an interest in the property. January 2000: Local planners are unaware of any change. January 2005: From visual inspection - no obvious change to builidng fabric. Property remains at risk. 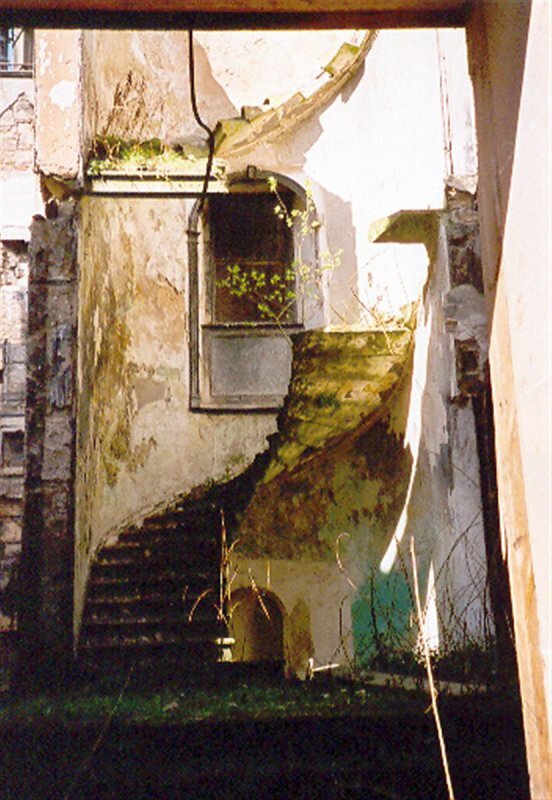 June 2008: External inspection finds the property has stood exposed for several years since the fire (1992) the new owners are clearing the surrounding site and are applying for permission to develop it. It is understood these plans will include the restoration of the shell. The previous planning approvals are understood to have lapsed. 5 September 2012: External inspection finds no significant change from the previous site visit. Full Planning Permission for conversion of Newton House to 5 flats was conditionally approved Sept 2009 ref: 08/01414/FUL. Listed Building Consent for 2 dwellings in the walled garden was conditionally granted July 2009 and Outline Planning Permission for 5 plots in a paddock area was conditionally approved on appeal Oct 2011 ref: 10/00001/REF. 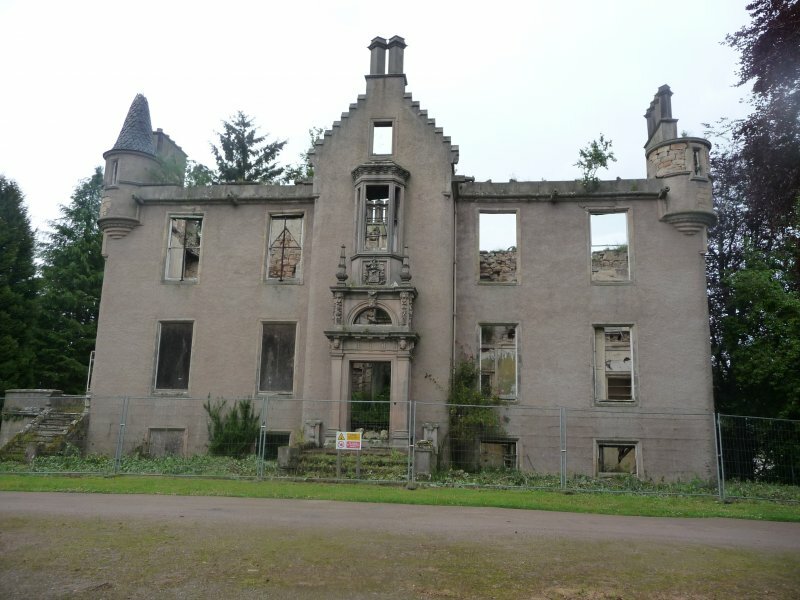 13 July 2015: External inspection finds the building remains in much the same condition as seen previously. 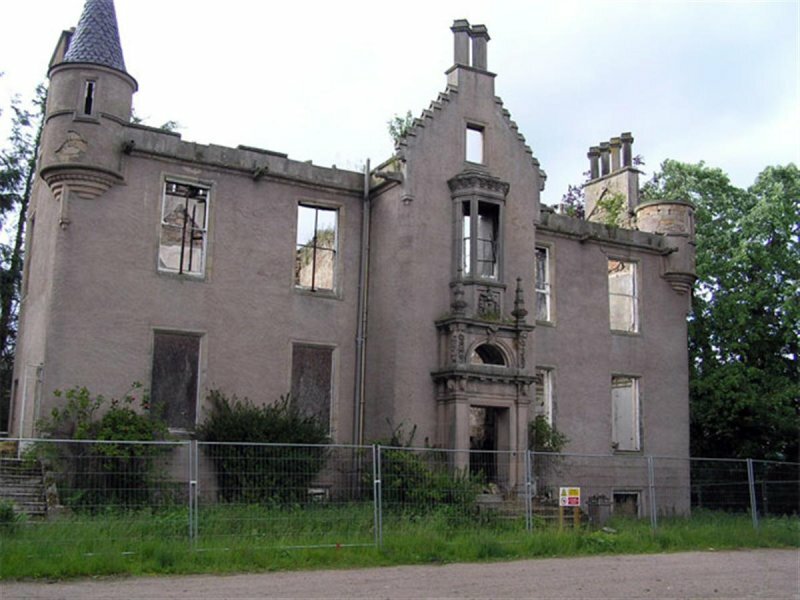 2 October 2015: A member of the public advises Newton House remains fenced off. New build development within the surrounding grounds has taken place. 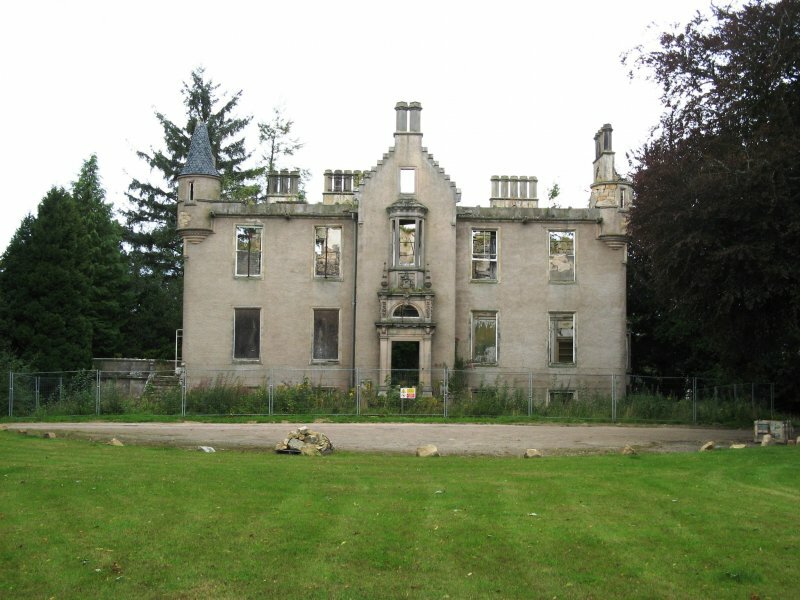 30 December 2016: The property is being marketed for sale, through agents CKD Galbraith, at offers over £50,000. 2 March 2018: The property does not appear to remain under marketing for sale at this time. McKean (Moray 1987), p83; Elgin Courant, 10 October 1854, p2; Discovery and Excavation Scotland, 1991; Elgin Courier, 12, 19 and 26 December 1851.